After Microwave challenge, a new challenge featuring a 20 kg gold bar known as ‘Gold Bar’ challenge has taken the internet by storm. Interestingly, this challenge is only available at The Dubai International Airport and if you are planning to travel to Dubai, you may have a chance to become a millionaire within a few minutes. The challenge is: A 20 kg of the heavy gold bar is placed inside a glass box and whoever manages to take it out of the container will become the new owner of the gold bar without paying a single penny. As much as it sounds easy, it is not. As per the reports, the gold bar is very heavy and it is not even easy to lift it up with just one hand. 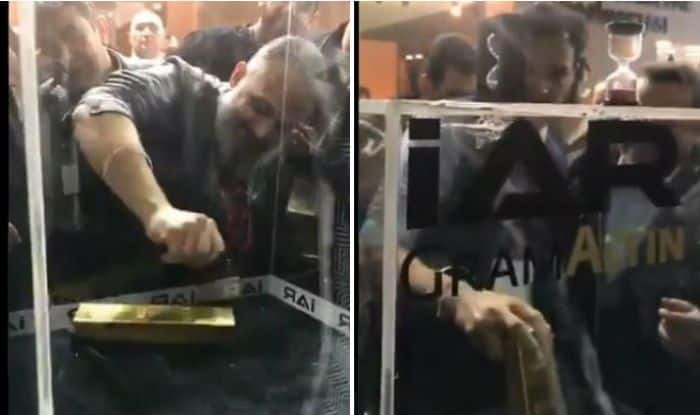 Lately, a video of a man trying to pull out the gold bar has gone viral on social media. In the video, several men try to hold the gold bar and pull it towards the glass hole but are unable to pull it out. The video has garnered 4,387 retweets and 10,075 likes so far. Do let us know what do you think of the video. However, it is worth a shot.